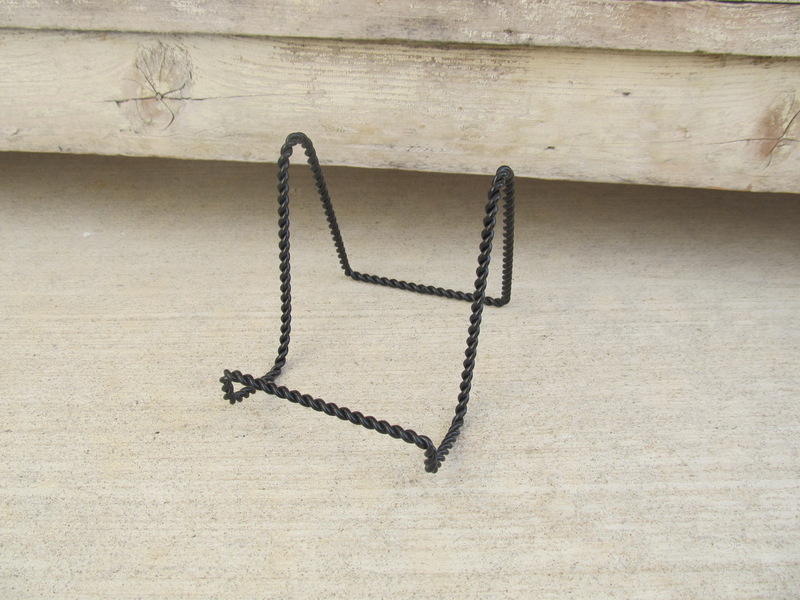 Black Twisted Steel plate stand/easel rack. Great for the larger plates and platters found on the web site. Also great to display our wooden plaques and signs. This style works best with all of our hand painted plates. Sturdy design. Size is 4"x4".